Jim was a full time employee of Cocola Broadcasting for over 16 years. 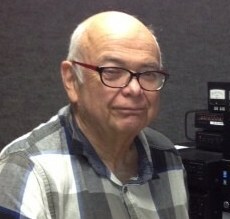 Jim retired from Cocola Broadcasting in 2005 but continues to work part time for the company. He is involved primarily with the technical side of the business. Jim began his technical career with Pacific Bell, where he worked for 25 years before beginning his television career. Jim's hobbies include model trains and a number of volunteer activities; he is a mentor and educator to Hmong youth.